All My Love: Kara's Party Ideas..The Book!! 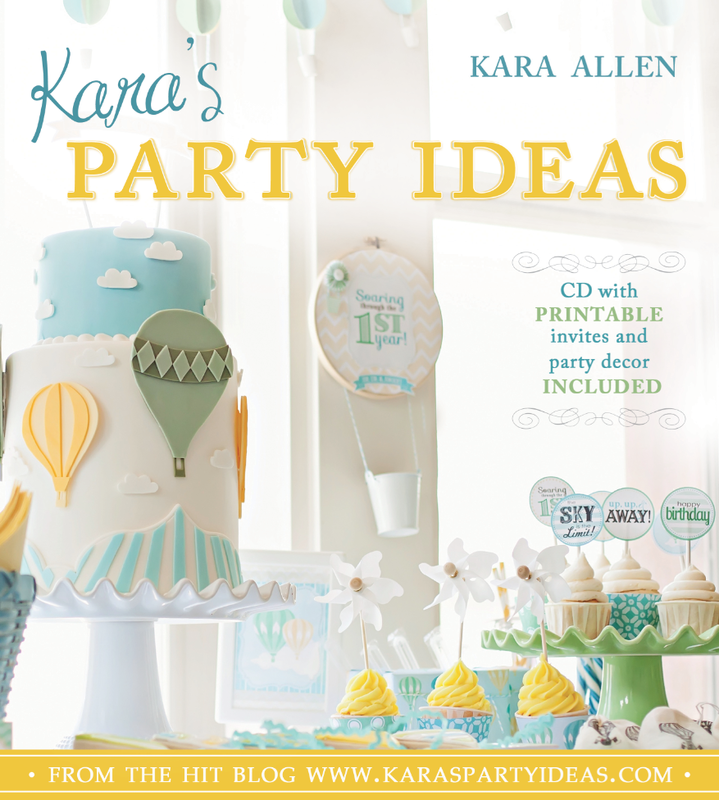 For those of you that love everything party I am delighted to share the release of 'Kara's Party Ideas'..The Book which is very close to it's lauch in a few weeks time. 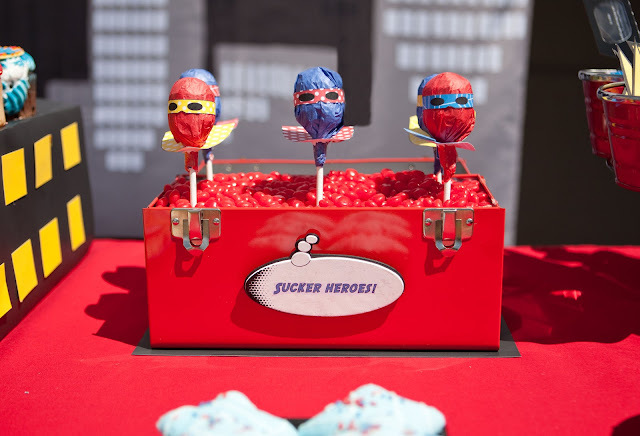 To celebrate the book release on 9 October 2012, Kara is conducting a 'book tour' and I have been lucky enough to get a sneak peek....and today I am going to share these 'Superhero Pops!!! 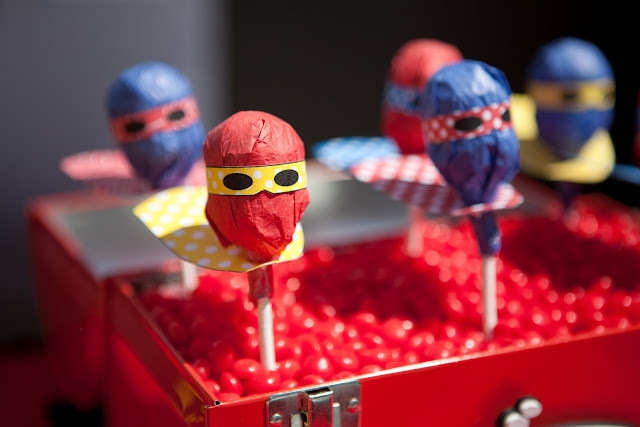 Such a fun favour or treat idea for any superhero party and they're so simple and inexpensive to make! Best of all, other than the lollipops, you only need supplies that you have at home since the cape and mask are printables included in the book! So what do you need to make them?? 1. Cut the tissue paper into small squares (about 4 x 4 inches). 2. Wrap the tissue paper squares around the tops of the suckers and twist at the bottom to secure. 3. Punch a hole in the 'neck' part of the printable cape and slide it up the sucker stick to the base. 4. Using tape or a glue dot, secure the printable mask around the centre of the sucker. Kara also did a video tutorial for the pops on her show, which you can view here. I hope you have enjoyed this small glimpse into the book. The blog tour continues with more fabulous tutorials and sneak peeks before the book hits the shelves on 9 October so be sure to keep an eye out via Kara's Facebook page for all the fun details. In the meantime you can pre-order your copy of the book via Amazon here. Thank you Kara for allowing me to be a part of your blog tour. I can't wait to get my copy to find out what other fabulous tips and party themes you have to share with us!! They look nice, i like the idea! 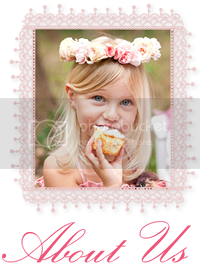 How have I never stumbled upon your blog before! This is adorable! What a great idea for a party favor! Following you for sure! 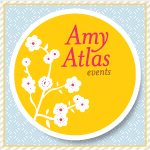 Maybe you'll check out my new DIY site and follow back if you like it? I love making connections with other crafters!